Does Your Business or Organization Host Job Shadow Students? March 1, 2019 in category News tags job shadow, Leadership Venango, workforce development and 0 comments. 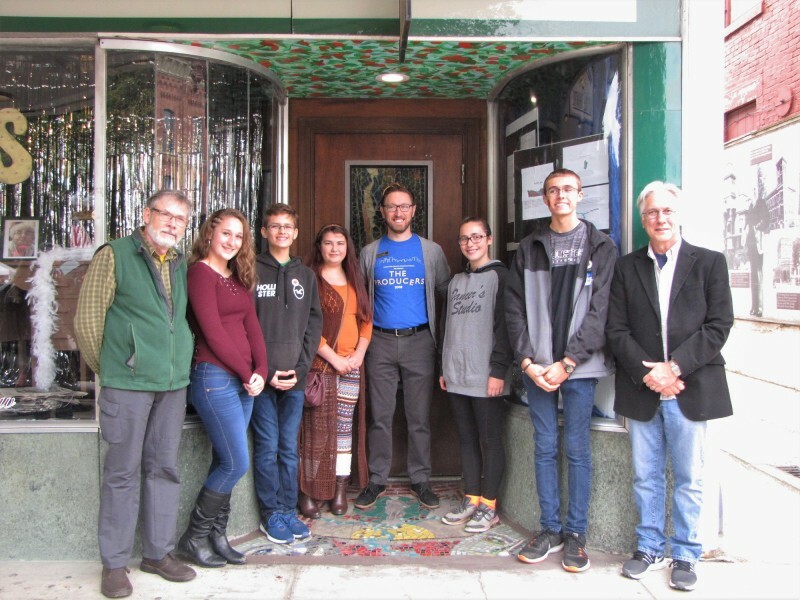 A small team from Leadership Venango, the Chamber’s new Leadership program, is looking to define connections and develop a process to make the job shadowing experience more meaningful to students and hosts. A directory will provide students with information about what types of jobs are prevalent in the Venango area and a list of contacts for companies that are willing to host job shadows for the different career categories. Processes will be laid out for managing expectations to both the students and the hosts. This will help students prepare for the day and know what to expect. Similarly, a process for the hosts will ensure that necessary information is communicated and the students receive a meaningful experience of the career they are interested in. If your business or organization is interested in being included, please contact Tessa at tbyham@venangochamber.org. March 1, 2019 in category Chamber Blog, News tags Business after hours, mixer, Networking, venango chamber and Comments Off on Why Business After Hours Mixers Remain Relevant. “It’s our human-to-human links that make the most meaningful moments of our lives,” suggests Joshua Cooper Ramo, author of The Seventh Sense and The Age of the Unthinkable. While in many ways it seems we are more connected than ever, our busy schedules and screen time are keeping us from meeting face to face with businesses in our communities. It is in meeting that we can most effectively collaborate, celebrate, and even commiserate. But let’s get serious—who really wants to go to another meeting? We are encouraged to “grow our network,” understanding there is a lot to be said for who you know when trying to get things done. The chamber mixer model has long provided an efficient template for bringing people together, specifically within the business community. We believe there is great value in meeting, especially when it provides the chance to meet new people and businesses, or reacquaint ourselves with someone we haven’t talked to in a while. 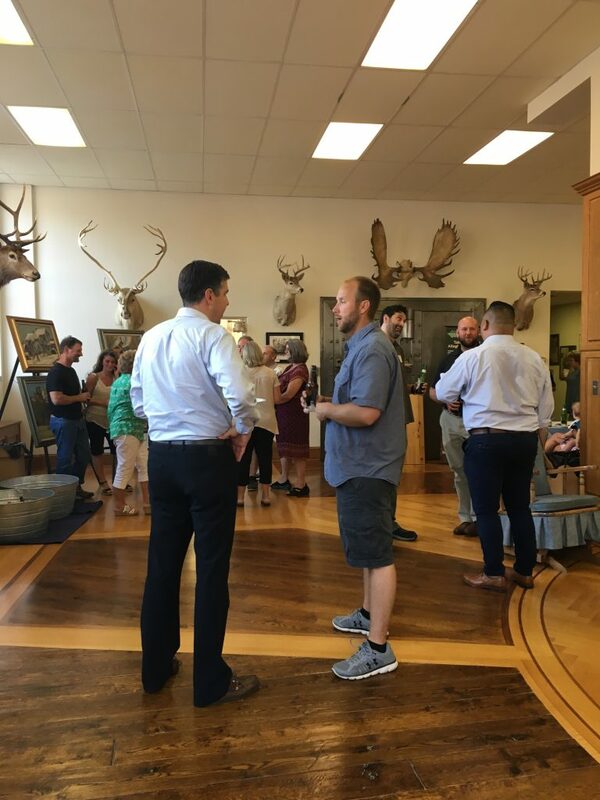 So, what makes for the perfect chamber business after hours mixer? The same thing that works for any great get together, an enthusiastic host and an invitation. Still not convinced? 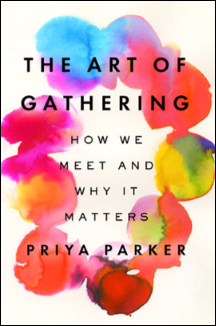 Check out Priya Parker’s The Art of Gathering. Parker offers a decoder ring for the secret forces at work when we gather for business, crises, or celebration. And remember, “many of the best things in life happen when people gather,” said Chris Anderson, owner and curator of TED. To schedule a mixer, contact the Chamber at (814) 676-8521 or chamber@venangochamber.org. Stay tuned next month for an article with tips on how to host a successful mixer. February 28, 2019 in category Events and meetups, News, Venango Works tags Annual Dinner, awards, Banquet, barrow civic theatre, leah gesing, Matric, recognition, Recognizing Excellence, venango chamber and 0 comments. And thank you to Cross Creek Resort, our host for the evening! February 8, 2019 in category News tags barrow, barrow civic theatre, franklin, franklin pennsylvania, local theatre, venango chamber and 0 comments. 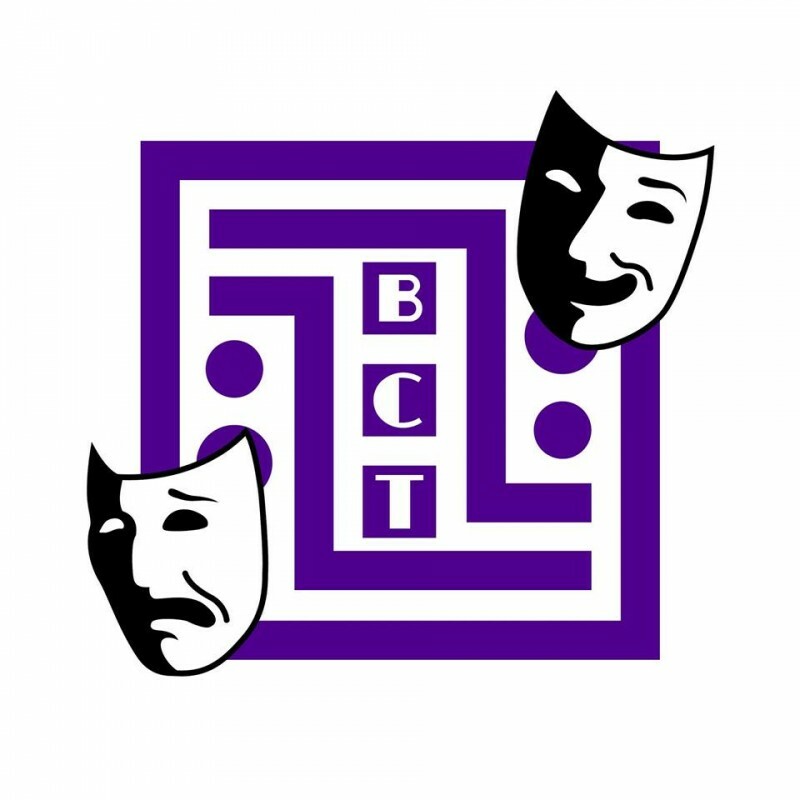 The 2018 Partner in Business Award goes to the Barrow-Civic Theatre (BCT), owned and operated by the Franklin Civic Operetta Association (FCOA). The FCOA’s mission is to be a leader in the cultural growth, diversity, and vitality of the region, with a vision to provide opportunities for quality programming and entertainment by tapping the resources of all age groups and encouraging the pursuit of artistic talents. The FCOA celebrated it’s 25th anniversary in 2018 and had a full schedule of events, presenting award-winning literature from a diverse array of genre. With a commitment to improving processes, staff made major updates to production guidelines by streamlining the process. Multi-member production teams developed into a new standard, ushering in several non-board members as FCOA show producers and members of the Programming Committee. BCT’s Little Theatre maintained a lively schedule of events. The Off-Barrow Committee completed an internal review over the summer and created a Committee Overview document for the Board Development Committee. A production of the play Wait Until Dark was a great hit in November, selling out several shows, and proving the Little Theatre is a special and unique downtown venue for smaller plays and events. 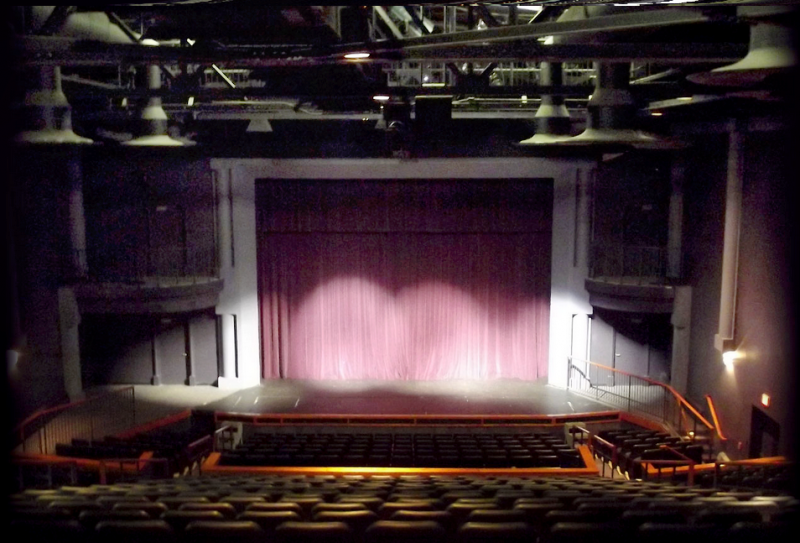 The first phase of building improvements began in the Little Theatre over the holidays. A new technical booth featuring an audio snake, light board, and new stage are part of the improvements. The Youth Theatre program produces annual shows and workshops that allow our area’s youth to develop skills in all aspects of theater. The program encourages parent participation, and the staff continue to work as a team to empower each young participant. The Barrow Theatre Institute (BTI), a series of after school, evening, and weekend classes and workshops taught by local instructors is gaining momentum and hopes to recognize continual growth in registrants and classes offered. Another educational event included an Artist In Residence, in collaboration with Erie Arts & Culture (EAC) and Pennsylvania Partner for the Arts (PPA). Two Teaching Artists spent several weeks working with local youth to install a mosaic tile installation for the entrance to The Little Theatre (see left). The finished product tells the stories the participating youth gathered to answer the question “Why Franklin?” This is a much-needed, vibrant and colorful update to the facade of the Little Theatre. 2018 was an active and productive year for the FCOA Board Development committee. A Board Retreat was held in September, focused on values and Board roles. The theatre presented over 100 ticket vouchers to area non-profits for fundraisers. The theatre was represented at downtown events and FCOA cast members attended festivals and concerts in the park to promote shows, and the theatre opened its doors for concessions and rest room facilities. Many building improvements were made or begun in 2018, including the replacement of pumps and one of the boiler units. Staff members painted the outside alley wall, a much-needed improvement to the cosmetics of the building. Additional improvements included the replacement of two damaged doors, as well as carpet throughout the building. “The opening of the Barrow-Civic Theatre 25 years ago was a dream come true. Today, this organization is still making dreams come true for performers and the community,” said Zach Covington, Executive Director. The Barrow-Civic Theatre will be honored at our Annual Dinner on Wednesday, February 27. February 7, 2019 in category News tags Business of the Year, electronics, Matric, matric group, matric limited, venango chamber and 0 comments. Our 2018 Business of the Year, Matric Group, is an electronics manufacturer based in Seneca that has reliably and affordably provided original equipment manufacturers with safe, effective electronics for 47 years. In 2018, Matric saw healthy revenue growth, increasing 30 percent over 2017, which increased 21 percent from 2016. With all this success, Matric had the need to expand, adding more than 100 new employees in 2018, with a total workforce now at 330. This growth led to record-breaking numbers on the production floor. Matric placed 19.6 million parts last year, beating its previous high of 17.9 million set in 2014. 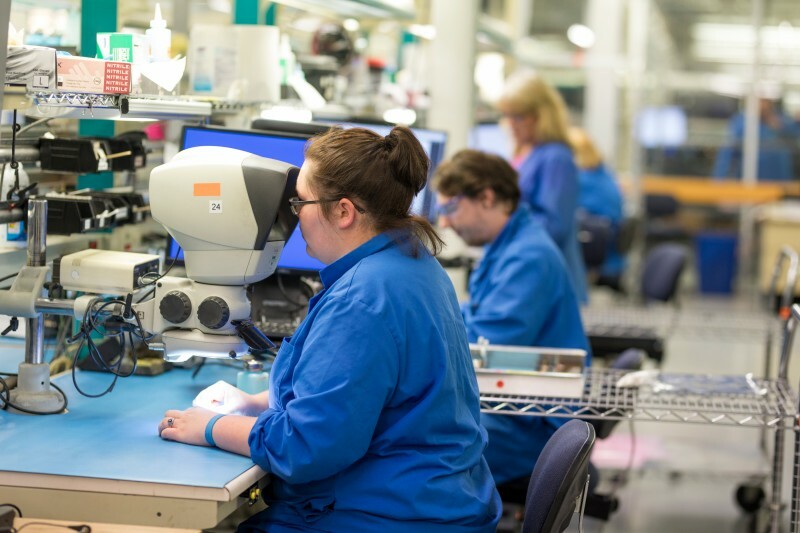 This effort was fueled by production on the company’s new high speed SMT line, which placed 41 percent of the parts. For the third time in four years, Matric was presented the Komatsu “Premiere Supplier” award in July. This honor requires recipients to demonstrate an exceptional level of quality–less than 3,000 defects-per-million or 95 percent on-time delivery–in addition to hitting a minimum sales threshold. The two companies have a partnership extending back nearly 50 years. The company was also selected as a recipient of the 2018 Governor’s Award for Safety Excellence for a second time (the first was in 2015). A deciding factor in Matric’s nomination was a record-breaking medical-claim free streak lasting 753 days from March 2016 to April 2018. Although the streak has ended, Matric associates continue to prioritize safety and continue to work hard towards building another impressive run. Away from the facility, business development efforts took place across the country at various trade shows. Matric and its sister company Dynamic Manufacturing exhibited shows in Cleveland, OH, New York, NY, San Francisco, CA, Las Vegas, and Nashville, TN. Outside of business, Matric and its associates strived to make a difference in the community in which we live and work. This year, Matric associates raised $16,004 for the United Way of Oil City, a total matched by the company. In December, the “Fill Up the Matric Van” initiative invited associates to provide food and supplies in assistance of Family Services and Children’s Aid in Oil City. Originally founded as a benefit for a disabled Matric associate in 1993, the tradition has come a long way, with nearly 18 boxes of goods collected this year. Matric will be honored at our Annual Dinner on Wednesday, February 27.